Enzo Ferrari’s 120th birth anniversary is celebrated with a special photo exhibition at the Enzo Ferrari Museum in Modena. Enzo Anselmo Ferrari was born in Modena on February 18th, 1898. He had been passionate about cars since he was a child. Considering that his father had a workshop, the time he spent there inspired young Enzo and formed his character. Eventually, He built his career not only as a great car manufacturer, but also as one of the most influential personalities of the 20th century. To mark his 120th birth anniversary, a photo exhibition has been organised at the Enzo Ferrari Museum in Modena, Italy. It includes images illustrating story of his life, his personality and extraordinary vision. Enzo’s undeniable strong spirit is reflecting in the present soul of the company. Ferrari is one of the most luxurious, dynamic and influential car producers in the world. Location: Museo Enzo Ferrari – Via Paolo Ferrari 85 – 41121 Modena. BY CAR: Take the Modena Nord exit off the A1 Milano-Roma motorway or A22 Brennero (Brenner). Then take exit 6 for the bypass (direction Bologna). Continue on towards the city centre after the Railway (Ferrovia) overpass, immediately to your right. FROM MODENA RAILWAY STATION: A shuttle bus link between Modena Railway Station (gate no. 4) and the Museo Enzo Ferrari in Modena which departs every 90 minutes. The shuttle service also links the Enzo Ferrari Museum in Modena with the Ferrari Museum in Maranello, about 20 km away. Visit one of the Ferrari Museums and then lap the Autodromo. Just present your Ferrari Museum or MEF ticket at the Autodromo di Modena and you can enjoy 15 minutes of exhilarating circuit time in your own car at a discounted price of just 35 euro. Don’t forget to check out availability and make a reservation (info@autodromodimodena.it). In addition, more details about the museum you may find on the official website. Discover New Ferrari 488 Pista, that will be presenting at the Geneva International Motor Show 2018. The Ferrari 488 Pista is a premier that will be presented during Geneva International Motor Show 2018. You have an exclusive opportunity to see and learn about its amazing features beforehand. 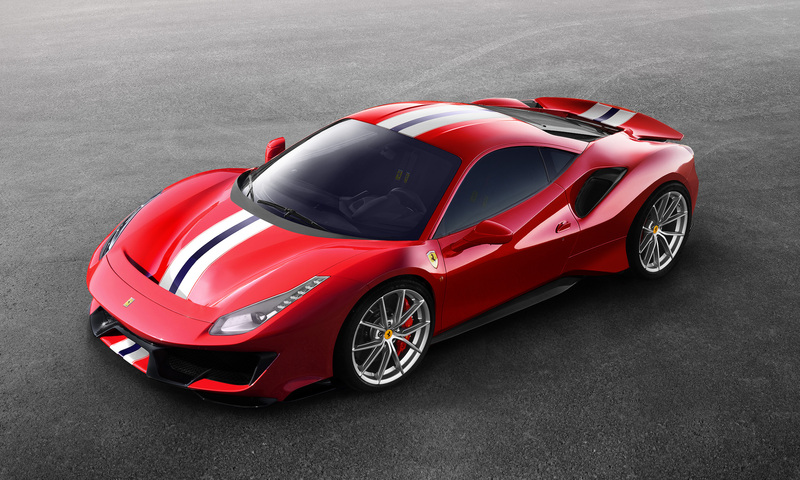 The Ferrari 488 Pista marks a significant step forward from the previous special series in terms of both sporty dynamics and for the level of technological carry-over from racing. The name is, in fact, a direct homage to Ferrari’s unparalleled heritage in motor sports. It is a car with an uncompromising mission: to offer track-like performance on and off the road, even when in the hands of non-professional drivers. For the first time on a Ferrari of optional new 20” carbon-fibre wheel rims, while other carbon-fibre parts include the engine cover, bumpers and rear spoiler. 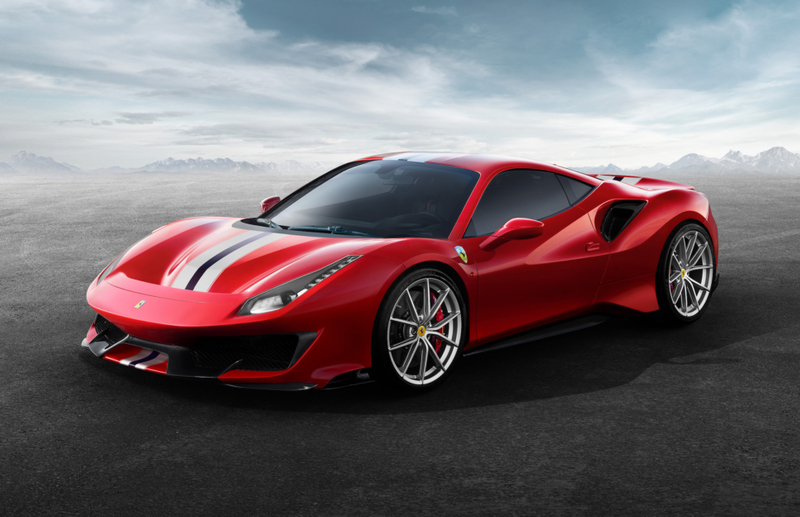 Don’t miss a chance to see the new Ferrari 488 Pista during the Motor Show in Geneva, that is taking place on March 8 – 18, 2018 at the Palexpo. For me, Ferrari is identified with an unforgettable motor racing, uncompromising quality and unique experience. What do you think about it? You may also be interested in the Automobile Salon 2017 -> 87th Geneva Motor Show. Stay tuned on World of Julia for highlights and photos from 88th Geneva International Motor Show, 2018.